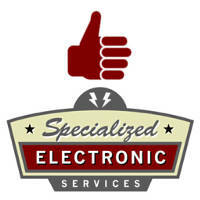 Specialized Electronic Services provides authorized maintenance and repair services on Industrial electronics. We sell many types of AC and DC servo and vfd drives. We are an authorized warranty repair center for many types of AC drives and DC drives. Call 1-800-681-7374. Our complete list of Manufacturers that we service between D and F.